St. Thomas International Regatta | New Name, Same Fun. Still the Best Regatta. St. Thomas Yacht Club is proud to be associated with the values of one of the world’s greatest yacht races. It is with great pleasure that we invite you to the 46th annual St. Thomas International Regatta. 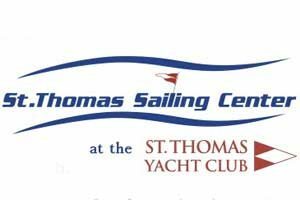 On behalf of the St. Thomas Yacht Club, we are honored to offer sailors from around the world three days of unparalleled competition and shore side excitement. If you’ve joined us in the past, you know that the competition and the camaraderie are unsurpassed. If you are contemplating making the trek for the first time, please know that we will do our utmost to make it a special regatta just for you. 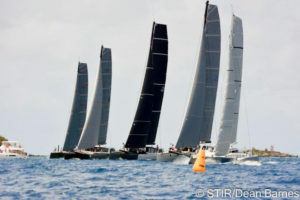 The St. Thomas International Regatta is etched into every racer’s mind as the “Crown Jewel” of Caribbean racing–where sailors can experience our reliable breezes, warm azure waters and world-renowned Island hospitality. 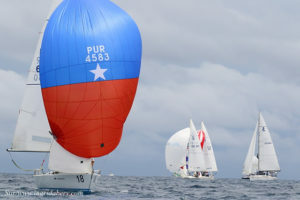 A great way to stir up the fun in advance of the 2019 St. Thomas International Regatta (STIR)! Set for March 21, this one day event is independent of STIR and features its own course, separate scoring and special prize-giving. Bring you own boat or charter! Chartering especially makes it easy to fly in, jump on a race-ready yacht and set sail! The hot, hot, hot class will be the one-design IC 24’s with over 20 vessels expected on the start line and as many as 12 races over three days. Charter your own IC 24 from the St. Thomas Sailing Center.